I think it was earlier last year in the spring when I was driving towards Dallas through Denton on I-35E. I noticed a big billboard that simply said “Behold the King of Kings” with a picture of the Nativity. There was another non-holiday instance of me driving through the Metroplex, and I noticed the same billboard. This time in a completely different location! And I was like, “Dang, whoever is sponsoring this billboard …they’re intense! …or forgetful-because-it’s-still-not-Christmas.” But now, I had the opportunity to look at the billboard more closely and such a closer look revealed something that I wasn’t expecting. I had no idea that one of my favorite restaurants had any sort of Christian affiliation with it! And so they definitely do, according to their Visions & Values on their website. Since I’m writing this in the Christmas season (which for Catholics, is celebrated as an entire season and not just a single day…ends January 12th this year), I really do get the opportunity to behold the King of kings! I’m celebrating His arrival! Word made flesh! God humbling Himself as a babe (not a chicken house)! Y’all, that has so much theological richness to it that I can’t hope to even begin to talking more about it! 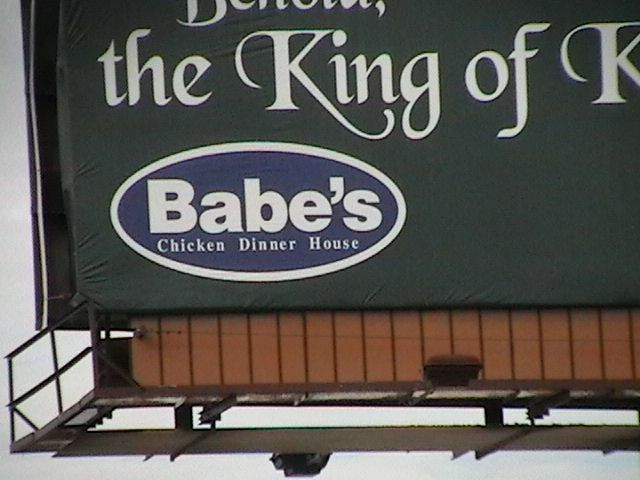 But, I’m appreciative of the fact that Babe’s has billboards all over the place reminding me to behold the Him. At this morning’s Mass, our priest highlighted that the Epiphany used to be an even greater celebration than Christmas itself! 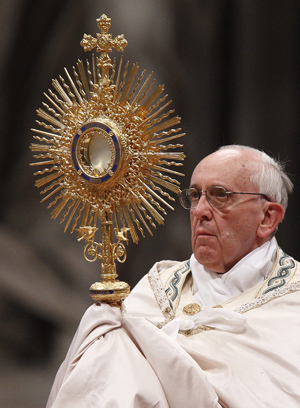 This is simply because here we have Jesus being revealed to the world…to other eyes besides Mary and Joseph. Quite a big deal! The “Wise Men” have come to behold and worship the King of kings! Upon hearing this stressed importance during the homily, I had a sort of epiphany about Epiphany. Either way…today is the day which we celebrate beholding the babe as King as the three Orient kings did those ~2000 years ago. While the Solemnity of the Epiphany is a once-a-year celebration, I think, going forward, these billboards that Babe’s (Chicken Dinner House) has placed around town will be good reminders for me to go to Adoration of the Blessed Sacrament–where I can really behold the King of kings truly present: body, blood, soul, and divinity. the Northeast, unfortunately, and given how secularized we are, we're unlikely to see businesses using religious imagery in their advertising. Too bad . . . But yeah! It's nice to see some businesses courageous enough to do something like that. Next Next post: First Filipino Astronaut!! !